Hawthorn Football Club may have been knocked out of the finals already but when it comes to the pokies premiership, the Hawks have won once again. Same deal for Canterbury Bankstown in the Rugby League. In sport, as in life, the “Reverse Robin Hood” pattern of robbing from the poor to give to the rich persists. Michael West reports. Prominent sports commentator, Roy Masters, took the helm as coach of the Magpies, the Wests Rugby League club, in 1978 and fired up his players with the oratory of class war. 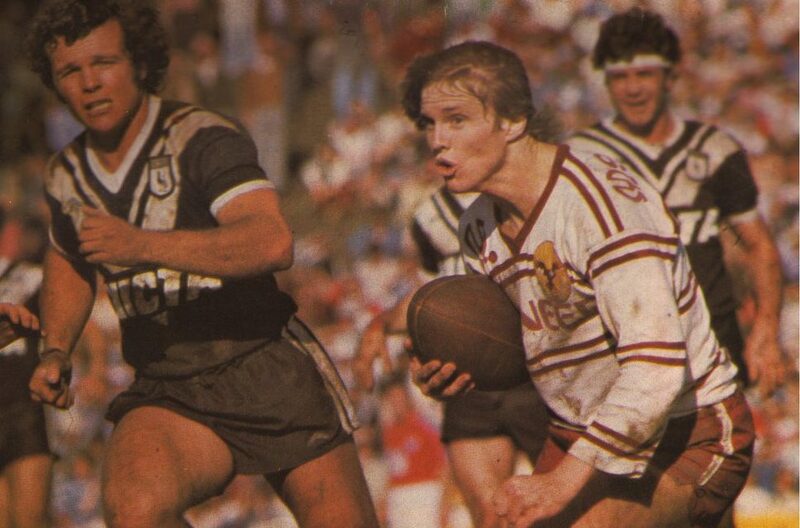 The Magpies’ arch-enemy was the Manly Sea-Eagles across the city on Sydney’s northern beaches. “The Silvertails”, Masters dubbed them. This narrative of the poor “Fibros” versus the swanky Silvertails gave rise to some of the most brutal encounters in the history of the game of rugby league. It became folklore. “The Magpies coach, Roy Masters, always spoke to the players telling them they were downtrodden, second-hand citizens. He would “pair off his squad and have them slap each other in the face, then spit on each other between the eyes”, according to legend. Forty years later, there is another story of Fibros and Silvertails to be told. It is a story of poker machines and how they exploit the poorer suburbs. There is a transfer of wealth afoot; from poorer people to government, via hefty pokies taxes, and therefore a transfer of wealth from the poorer suburbs to the wealthier. Of the top twenty clubs in NSW by poker machine profits, all except three clubs are located in Sydney’s less affluent Western Suburbs: five in Fairfield alone, three in Canterbury-Bankstown and two apiece in Cumberland, Blacktown and Campbelltown. One of the very biggest, with its 576 machines, is DOOLEYS Lidcombe Catholic Club. As it happens, DOOLEYS is just a couple of hundred metres down the road from the spiritual home of the Magpies, Lidcombe Oval. It also happens that the only club in the top twenty in the Department of Liquor & Gaming statistics, which is located in Sydney’s more affluent Northern Beaches, is the Dee Why RSL. Dee Why is just up the road from Brookvale Oval, the spiritual home of the Manly Sea Eagles. Like coach Roy Masters 40 years ago, DOOLEYS is squeezing more out of its players. An analysis of the accounts of Dee Why RSL and DOOLEYS shows, revenue per poker machine out west is 56 per cent higher than in the beachside suburb of Dee Why. The two clubs have much in common: poker machine profits have soared over the past ten years. Both contribute handsomely to the state tax base, management pay has risen strongly, both clubs are awash with cash and both have embarked on large building projects. Michaelwest.com.au is conducting an investigation into poker machine profiteering in NSW, the biggest gambling state in the biggest gambling nation on earth. The Department doesn’t provide details of individual club financials, nor does the secretive pokies lobby, NSWClubs. Yet the accounts of these two clubs tell an interesting story. Looking at poker machine reveneue per member in 2017, Lidcombe shows $967.70 while Dee Why comes in at $910.60. Revenue per member at Lidcombe is higher than Dee Why in every year since 2011. Dee Why’s statutory financials show 66 per cent of total revenue is pokie revenue whereas Lidcombe’s pokie revenue as a proportion of total revenue is substantially higher at 83.4 per cent. What is going on? Are the machines programmed differently? Both clubs, presumably ashamed by their deluge of gambling proceeds, refused to comment for this story so we can’t tell. It should be said that part of this difference could be explained by gains from revaluations, but not all. Both clubs, swimming in cash, have expanded their sources of other revenue. The Alliance for Gambling Reform has funded an investigation into poker machines and NSW clubs and has covered researched costs for michaelwest.com.au, specifically $1,840 for ASIC company searches.